J.B. Pritzker speaks at an event. The billionaire businessman won the Democratic primary for governor on Tuesday. Billionaire businessman J.B. Pritzker has been declared the winner of the Democratic primary for governor. The Associated Press called the race for Pritzker after more than a third of the vote was reported. Pritzker handily beat out state Sen. Daniel Biss (D-Evanston), a local legislator who has pushed for progressive policy, and Chris Kennedy, an anti-establishment businessman who is the son of former U.S. Senator Robert Kennedy. Pritzker had roughly 46 percent of the vote, while Biss and Kennedy trailed by nearly 20 percentage points apiece. Pritzker will take on incumbent Gov. Bruce Rauner, a fellow billionaire who survived a scare from challenger Jeanne Ives in the Republican primary. Pritzker received endorsements from both of the state’s U.S. senators and many state lawmakers, as well as the Cook County Democratic Party and a few major labor unions. His campaign, however, was often mired in controversy. In February, the Chicago Tribune published a 2008 wiretap call Pritzker had with former governor Rod Blagojevich revealing racially charged remarks he made about filling former President Barack Obama’s U.S. Senate seat. 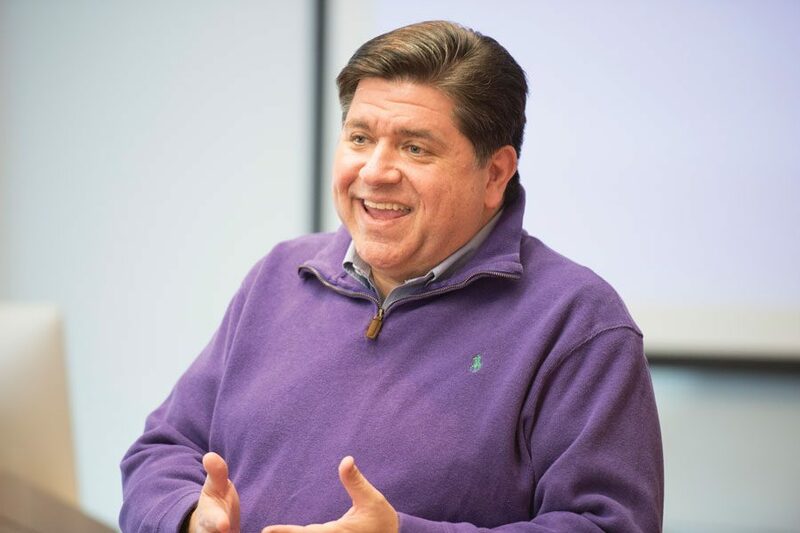 Pritzker has centered his campaign on addressing the state’s poor fiscal condition by restoring a balanced budget, and has said he will prioritize increased investment in education spending across the state. Pritzker also has said he wants to focus on “restoring and rebuilding” Illinois’ social services. In defeat, both Biss and Kennedy pledged their support for Pritzker to take down Rauner in the general election. Biss, who positioned himself as the “middle-class candidate” and came in second in the primary, ran his campaign focused on taking money out of politics. Biss said he called Pritzker to congratulate him about his victory, and said the pair will talk in the coming days about their respective roles in getting Rauner out of office. Biss thanked his family for their support, and ultimately said he enjoyed his time running for office. Kennedy centered his campaign on property tax reform and taking steps to reduce gun violence across the state, among other issues. The businessman was markedly solemn in his concession speech.